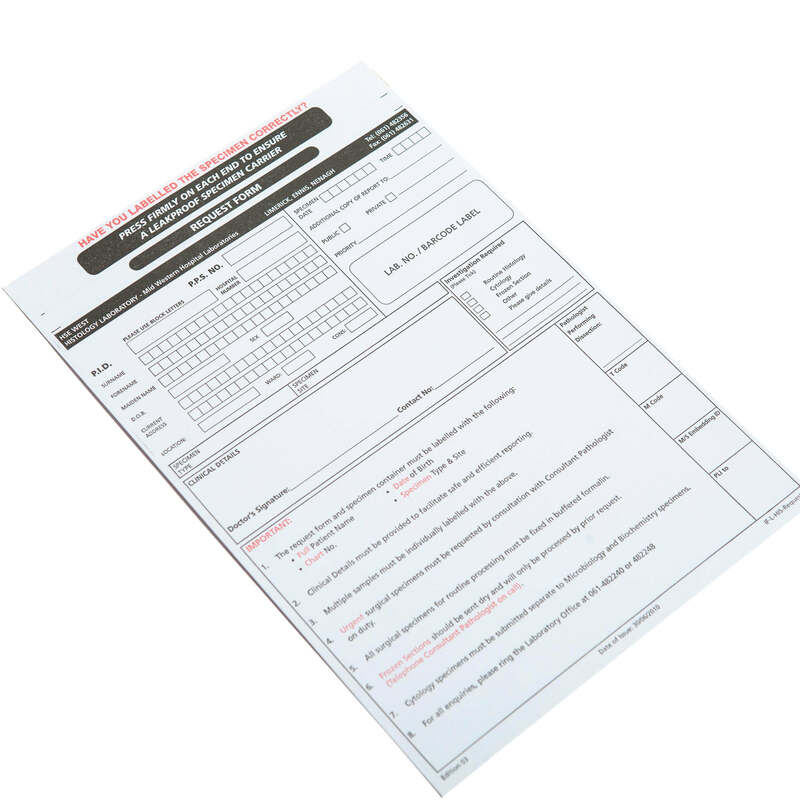 Shanowen Files supply a wide range of blood bags Specimen bags and Request forms and lab forms with leak proof sealing. Shanowen Files supply a wide range of blood bags Specimen bags and Request forms and lab forms with leak proof sealing. 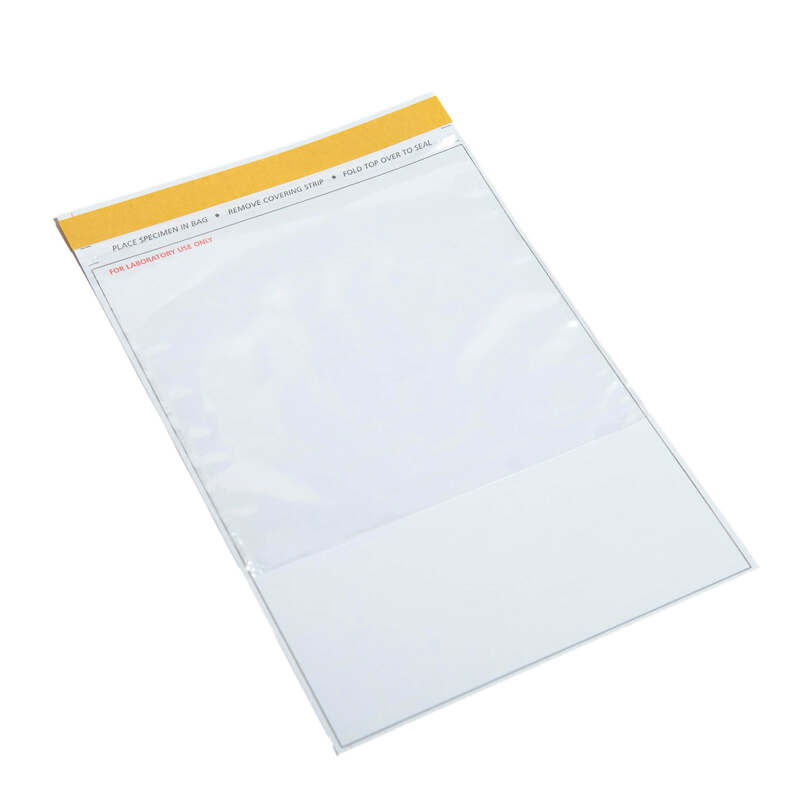 We can supply them on single or multi part NCR sets with either one or two specimen bags attached. We supply our customers with a dependable product at a realistic price. 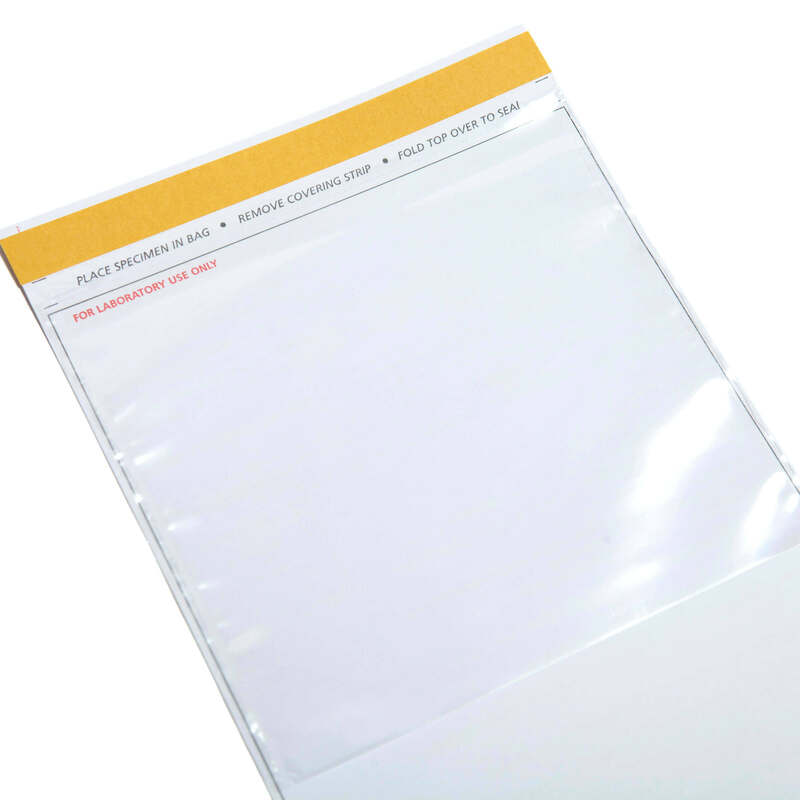 We can design your specimen bags and request forms for your specific needs. 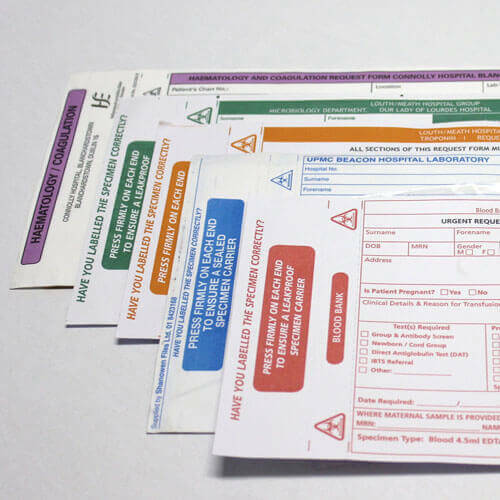 We specialise in high quality innovative print solutions to the HSE. 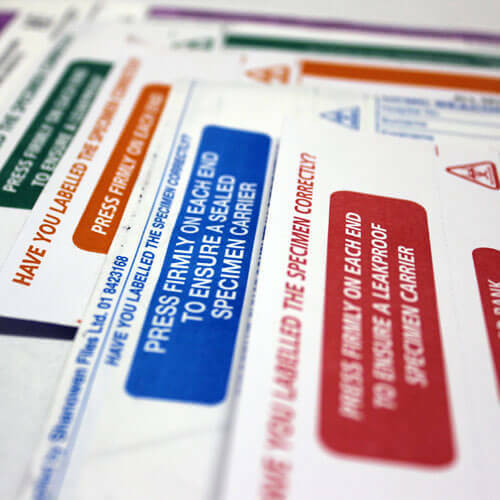 Every piece of print is unique and tailored to the requirements of every individual healthcare customer. 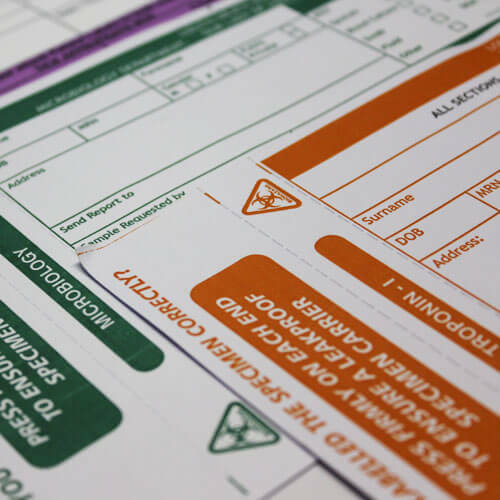 We work to provide a complete solution for HSE Healthcare forms which covers the design, print and necessary regulations.